Disclaimers: *These statements have not been evaluated by the Food and Drug Administration. These products are not intended to diagnose, treat, cure or prevent any disease. Yay! It’s November! Boo, winter is here. But, as long as it’s not another polar vortex and I can get out to snowshoe more than once, I’ll survive! November also means it’s time for the second installment of the seasonal superfood smoothie challenge from Puritan’s Pride! Here are a couple of great recipes to try! They were developed by Brooke Alpert, M.S., R.D., C.D.N., of B Nutritious and author of The Sugar Detox, who works as a spokesperson for Puritan’s Pride. Capsicum (cayenne pepper) is an herb that contains antioxidant vitamins A, E and C, B6 and K, making it a very healthful spice. Cayenne pepper my help to aid in digestion, which many people may need after that big holiday meal. Mint is an herb that needs more credit. It may help to soothe your digestive system after a few too many bites or sips. Mint also has antioxidants and key nutrients like trace amounts of vitamin A and vitamin C. All the more reason to love this refreshing herb. 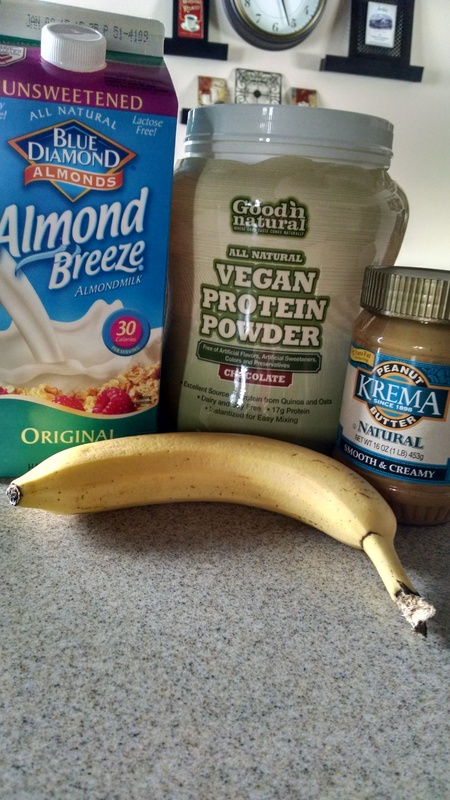 And here is one of my FAVORITE smoothie recipes for you to try! Up for grabs this month are these awesome products! Puritan’s Pride All Natural Vegan Chocolate Protein Powder with Quinoa and Oats Vegan chocolate protein powder Yum! Emergen-C Blueberry Acai, tastes so good! Eclectic Institute Raw Kale Powder I LOVE adding this to my smoothies! Puritan’s Pride Psyllium Husk Seed Great addition to smoothies, too! Enter by clicking the link below! Good luck and happy smoothies!